It’s a custom-made aligner made to move your teeth little by little. It is a very efficient, gentle and accurate system designed to straighten your teeth with minimal discomfort. The aligners are almost invisible and are a great replacement to the traditional method of moving teeth by metal braces. Your invisalign journey starts with a consultation with Nedahl Swessi to discuss your treatment options and have the chance to ask any questions about the treatment. This is then followed by a digital scan, x-rays and clinical photographs in order to create a clincheck. What is clincheck? Clincheck is a 3D treatment plan video that shows you the stages of your treatment and how your teeth are going to look upon completion. It is a great tool that allows you to see the end result before you even start. It also gives you the chance to ask for any changes at this stage before your aligners are made. Once you start your treatment, you will be given periodic appointments to check on your progress and give you the next set of aligners to wear. Most people are issued with 4 -8 aligners between appointments and each aligner is worn for one week before progressing to the next. Aligners are worn most of the day and are only taken out for eating, drinking and toothbrushing. At the end of your treatment a new scan is taken of your teeth to make your own Invisalign removable retainers (Vivera). In some cases a fixed retainer (metal wire) will be placed on the back of your front teeth for extra protection against relapse. 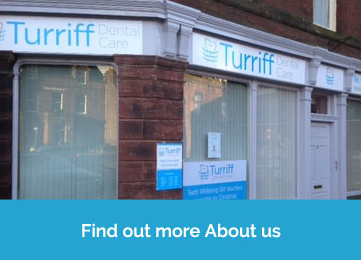 Invisalign treatment at Turriff Dental Care includes complementary teeth whitening. There are more than 10 million patients worldwide who have had their teeth straightened with Invisalign. It is a safe and convenient way to improve your smile. Nedahl Swessi has been a full Invisalign provider since 2017 and has been providing adult orthodontic treatment since 2014. 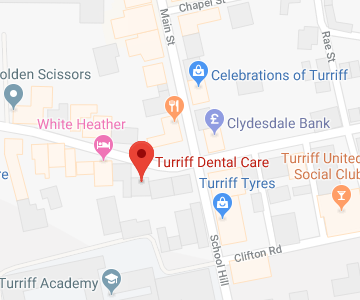 He has the knowledge and skills to take on moderate and complex cases and is a self-confessed perfectionist when it comes to teeth straightening!